We can’t live in a world where you can’t have every single Mercedes-AMG car, in every single flavor. Oh no no no. 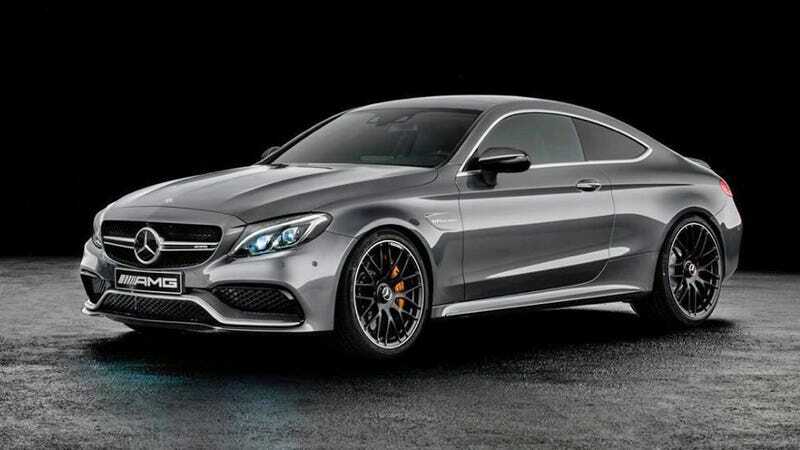 So it’s in that vein that we present the 2016 Mercedes-AMG C63 Coupe. Now you can add its unholy masses of power to your Mercedes-AMG C63 sedan and wagon fantasies. How much power, you dare ask? Well of course you dare ask, because silly amounts of horses are really just the AMG trademark at this point. We don’t have the official numbers just yet, as they’re going to be released in a few hours, but expect it to line up nicely with the other AMG C63 models. So that’ll be somewhere around 507 horses, for all of your tire-destroying bacchanalian pleasures.